I wanted to get to the truth about the Betonline cheating scandal that saw allegations of a live dealer cheating in a YouTube video posted by an online streamer. So I took a trip to the Costa Rican capital of San Jose to meet with Joe, the head man of Global Gaming Labs (GGL), the Live Casino software provider. I love Live Casino and feel bad when I see allegations of cheating. It’s not because I believe it couldn’t happen, it’s because most, if not all allegations are never substantiated by facts and concrete evidence. So these incidents percolate under the surface until the next incident occurs and then they’re dragged up as evidence that cheating does exist. It’s this that damages the reputation of suppliers and the industry as a whole and I don’t like it. That’s why I wanted to personally find out what went on and to set the record straight. In my experience, the game providers all have a difficult job. They all have processes and procedures in place to combat fraud and cheating by players and dealers. The opportunities for players being cheated by the casino are slim. Well, I’ve visited studios around the world, looked the operators in the eye and seen the evidence of what they do for myself. That has got to be better than a player at home calling foul publically when they lose more money than they intended. The truth about the BetOnline Cheating Scandal video. The decision of Global Gaming Labs to cease business operations. The two are sort of intertwined. The timing suggests that the two are linked but in reality, it’s an unhappy coincidence. What I did discover certainly opened my eyes to some of the challenges Live Casino providers face in running their operations. Joe spoke to me in a very honest and open way. He didn’t dodge any questions or be evasive in any way. Over the course of 90 minutes we chatted about all things Live Casino and of course, the Live Dealer caught cheating. On its own, the cheating is a bit of a non-story. But when placed alongside the other you can begin to understand the impact of something like that happening. 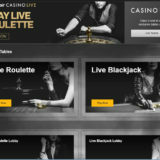 About 12 months ago Joe reached a business decision to close the GGL business and Live Casino. The business was no longer financially viable and with his personal focus more on Sportsbook, he looked for a partner to take over his existing client base. 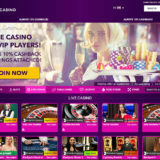 Joe already had a close working relationship with Visionary iGaming. So a deal was struck and they spent quite a while developing an interface to connect the two platforms together. This would make the migration process for existing customer seamless. A completion date for all migrations of the 15th May 2017 has been agreed with the existing clients. Of the 70 dealers working at GGL about 10 would find a new job at VIG. On February 18th, 2017 BetOnline, the largest client of GGL issued a press release stating that they had moved from Global Gaming Labs to Visionary iGaming. They cited various reasons, but I think the major one was the adverse publicity that was about to hit with the release of the Live Dealer Cheating Video. A good move on their part and fortunate in a timing sense that the migration process was in place and ready to be used. Also on February 18th, 2017, a video is posted to a relatively new online YouTube Channel. This shows a GGL dealer manipulating a card as he is about to deal a hand in Blackjack. He can clearly be seen taking the card from under the one meant to be dealt. It’s a deliberate act and there is no debate that it happened. The poster of the video allegedly made no attempt to contact GGL either before or after the video was posted. However, he did approach Betonline, who were the ones streaming the live casino feed. I don’t have any information on what was discussed or if anything was agreed between them. However, the timing of the announcement to move suppliers by Betonline and the posting of the video on the same day, suggests that something may have been agreed or was just another coincidence. He continued posting more videos as he “investigated” the issue. These amassed nearly 2 million views over a few days. Betonline issued a press release on the 20th February 2017 commenting on the questionable behaviour of the dealer and that they were assisting GGL with the investigation. GGL carried out a very detailed investigation into what happened. The dealer concerned was interviewed and he flatly refused to talk about what had happened. As a result, he was fired and he moved back to his home in the Philippines. He’s unlikely to be employed in the industry again. 100’s of hours of video were scrutinised of the dealer to see if he had done it before or if there had been any other incidents worthy of investigation. Nothing could be found. The motivation for what he did is not clear or whether the deliberate act was something he did on his own or in collusion with someone else. All of GGL clients were satisfied with the findings of the investigation. Joe explained that collusion with dealers is a big challenge in Costa Rica. A lot of players are based there and frequent many of the same bars & clubs as the dealers. Although strictly forbidden It’s not unusual for an on-screen relationship to develop into something offline. When these are discovered employment is immediately terminated. It’s also not unknown for dealers to receive gifts of large sums of money from online players in the way of offline tips. Joe pointed out that there is no real way for the dealers to cheat at the table. They don’t know the order of the cards and the deck is shuffled on camera. The value of the card is only known after it has exited the shoe and been scanned. Misdeals are probably the only way a dealer has to influence the game. When a misdeal occurs all bets are normally returned back to the player. So if a dealer was in collusion with a player, they could deliberately perform a miss deal on a hand not in the players’ favour. You can check out some YouTube videos to see the sorts of relationships that develop between players/dealers to understand why that might be a problem. Unless the dealer involved comes out and says what happened we will never really know what happened. GGL will cease its operations and close down on the 15th May 2017. 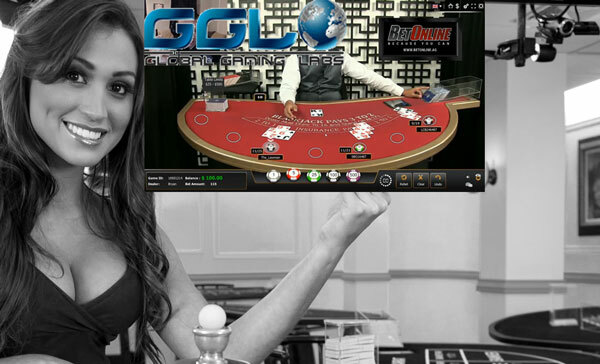 All existing GGL clients will be migrated to the Visionary iGaming Platform by then. GGL certainly haven’t benefitted from it and neither has BetOnline. The only upside I can see is the streamer who published the video. He got more than 2 million hits on his new YouTube Channel, lucky him. 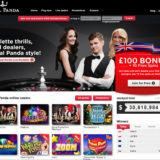 The accusations of cheating or foul play at online live casinos are always going to be about. The “Cheating Video” is an example where something wrong can clearly be seen. But in this instance, it’s not clear why it happened and who or how someone would benefit from what the dealer did. That’s my biggest frustration. I wouldn’t call it cheating. For me it’s something more clever, it’s something that has created a story that’s been widely reported on and someone has benefited from that. Whatever the reasons are for Global Gaming Labs closing, I’m sad that 60 people have lost their jobs and the industry has lost another Live Casino operator. I can’t help but think that if GGL hadn’t already taken that decision they might have pursued this further. Maybe a criminal investigation should have been performed to get to the bottom of what happened. As it is, everyone appears to be moving on. I’m really glad I had the opportunity to speak to Joe and provide some more context around the incident. He opened my eyes to the issues facing live casino operators, and how Social media puts extra pressure on the dealers both personally and professionally. You just need to do some searches on YouTube and watch some Live Casino streamers to see what I mean. Look out for my report on my visit to the Visionary iGaming offices and Live Casino Studio. You’ll get to see me at the tables doing some dealing (badly I might add).